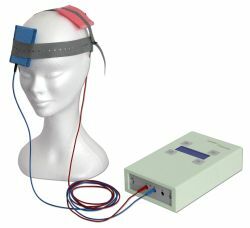 In an essay in recent issue of Current Biology, a team of neuroscientists and philosophers examine the neuroethics of transcranial direct current stimulation (TDCS), a relatively inexpensive means of modifying human brain activity that is touted as potentially being at the forefront of a new wave of cognitive enhancement. The article has garnered a great deal of interest in the press (for example here and here and here), and the reasons are unsurprising: the prospect of a device that is cheap (probably), safe (maybe), and effective (time will tell) is something akin to the holy grail of cognitive enhancement. If the initial claims for TDCS hold up, the device may have an impact the practice of enhancement in the relatively near term. As a result, the urgency with which our community must think through the relevant ethical issues intensifies. The current consensus is that TDCS is likely to prove most effective when coupled with appropriate behavioural training. If this is true, it reduces a common objection to cognitive enhancements: the objection that artificially induced capacities do not belong authentically to the person. This claim hinges upon an implicit assertion: that the authenticity objection for other cognitive enhancements is based upon the fact that they require either no training or less training than TDCS. Pharmacological cognitive enhancers, to the extent that they work, do not impart knowledge, but rather enhance existing cognitive function. With the exclusion of such extended mind enhancements as computers (or even encyclopedias printed on paper!! ), any enhancement, in use today or on the horizon for tomorrow, acts by altering the ability of brain to carry out extant computations. It is only in fantasy stories such as the one spun in Limitless that enhancement confers abilities without training. As such, all enhancements seem to require active engagement in a manner that is not drastically different than that involved in TDCS-based enhancement. Thus, in my view, TDCS does nothing to change the authenticity argument. Of course, none of this is to say that the authenticity argument is an airtight objection against cognitive enhancement: it is not. But stating that TDCS reduces concerns regarding authenticity as a declarative sentence (and repeating it in interviews with the press) seems to me to over-reach a bit. This entry was posted in Journal Club, News Media and tagged authenticity, cognitive enhancement, DTCS by Peter B. Reiner. Bookmark the permalink.